Few nights spent with your spouse, your girlfriend or boyfriend or someone special surely calls for a special setting for delicious meals especially made for two. Just imagine having a dinner with someone dear to you in an inviting and romantic setting, with great music softly playing in the background and lovely lamps casting amber and warm glow on your surroundings; these scenarios will surely make you feel loved and connected. Nakalay Private Beach Dining can guarantee you the most romantic and unique dining experience in Phuket. 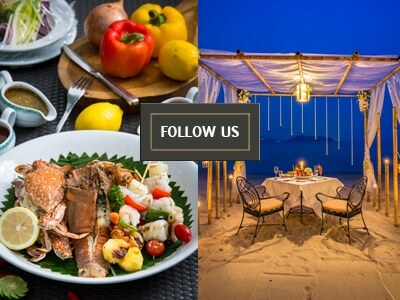 This Phuket restaurant specializes in beachfront dining experience and strives hard to make your romantic dinner the most memorable one. Since this restaurant is situated in secluded Nakalay Beach, both of you are ensured of more intimacy and privacy during dining. The restaurant allow you to spend the night with your special someone on your own exclusive candle-lit beach cabana while toes on the sand and staring at the awesome twinkling lights of the Patong Beach. You can also end the night with your partner by witnessing the sky lantern releasing ceremony for good luck and prosperity. Nakalay Private Beach Dining also serve great tasting foods that both of you can enjoy. This is also one of the most romantic Phuket restaurants where you and your partner can enjoy the privacy of being together while enjoying delicious feast that will surely suit the mood. Starting from delicious tapas, freshest local foods, elegant and great tasting main courses up to divine desserts, you will find it all here in Kata Rocks. This resort restaurant is widely known for its captivating oceanfront views and spectacular sunsets. Culinary talents, extensive food and wine collections combined with personalized attention from staff makes this restaurant one of the most romantic Phuket restaurants worth visiting. With unique view of Patong Bay, this Italian restaurant in Amari Phuket Resort is included in the list of most romantic Phuket restaurants. The foods here are great, services are efficient and smooth and the atmosphere is very romantic and intimate. The moment you and your special someone set your feet into this Phuket restaurant; you will instantly feel the sweet mood. Gentle breeze tends to follow freely across wooden terraces positioned at the edge of the lovely sea. The swaying coconut trees also add up some tropical touch. These are actually just a few of the many romantic restaurants in Phuket. All these restaurants are highly recommended if you are aspiring for the most romantic dining experience with the person who matters most.